Charles Bukowski was a mediocre poet and fiction writer. His work was brutally honest and it chronicled, sometimes in excruciating detail, the life he actually lived - painful, wounded, drunken, and more than a little outside the lines. The result body of work sells more books than Jack Kerouac and Ken Kesey. Open Culture marked his birthday last week with the best biography I have seen about his life. 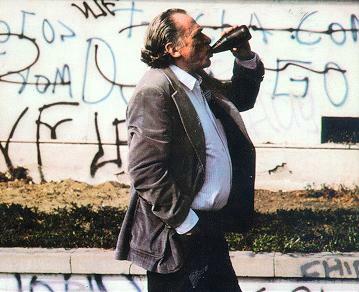 There is nothing great or exceptional about Bukowski - other than his willingness to lay bare his life on the page. How many of us would be willing to be that raw, that open about our weaknesses and failures? How many of us can turn those dark places into something many people see as art? You can find Born Into This listed in the Documentaries section of our collection of 500 Free Movies Online, or purchase your own copy on Amazon here. ~ Colin Marshall hosts and produces Notebook on Cities and Culture. Follow him on Twitter at @colinmarshall.